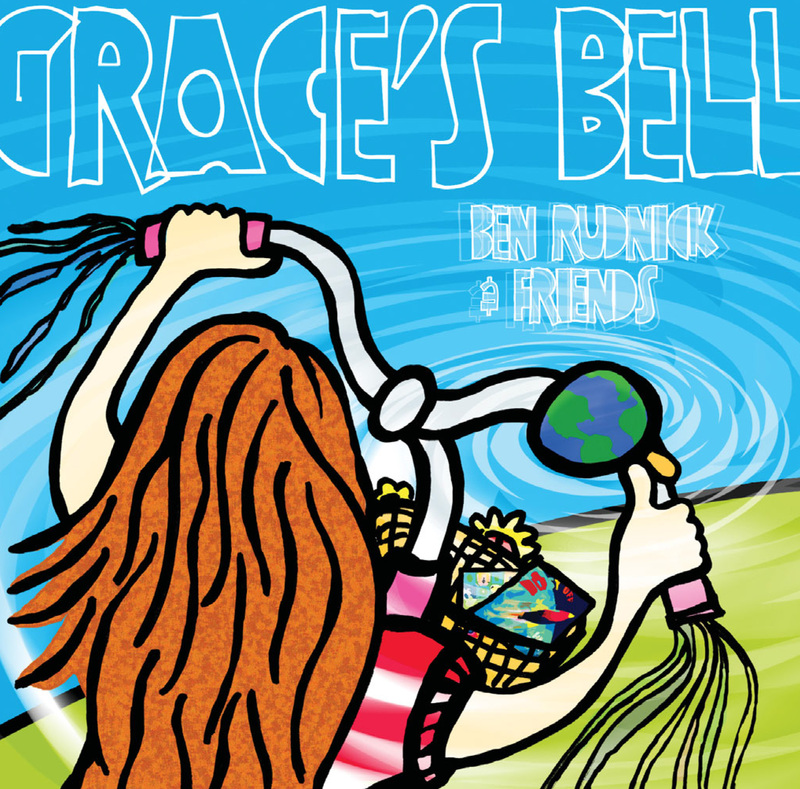 With their trademark mix of crackling energy, adventurous musicianship and warm humor, Ben Rudnick and Friends extoll the virtues of vowels, imagine a world enamored with tubas, and celebrate the spirit of a bicyle bell. Special guests Buddy Cage (New Riders of the Purple Sage), Jeff Bird (Cowboy Junkies) and the Tuba Tune Horn Section add their grace to Grace’s Bell. Thanks to our fans who had everything and needed something new. To my brothers in music — John, Arnie, Jared and Mark. To Buddy, Paul, Don, Jeff, Lewis and the Tuba Tune Players for their added cheer. To Andy for being Andy. And to Jeannie Deva, vocal coach extraordinaire. Beyond thanks to Emily and Diane, aka the ladies of the house! I am the luckiest guy I know.